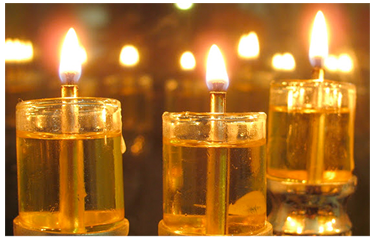 Hilula and Yarzeit for the Hebrew Month of Mar Cheshvan מר חשון. There are some unique world history events during this month. It is the start of the Flood of Noach called in Hebrew Mabul - מבול There is also the birth of BenJamin HaTzadik - the Progenitor of the Tribe of BenJamin. Also, there is the Hilula of Rachel Imenu (Our Mother) and the Hilula of Methusaleh the longest living Human Being. Methusaleh Lived 969 years out of his projected 1000 years. Per the sages, it is good just to say the Name of a Tzadik. The more one learns about each individual Tzadik the more one strengthens connection to that Tzadik and assists in the Channel of connection between you and he/she. 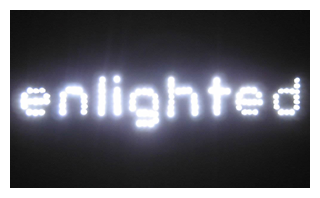 As we develop more information about a particular Tzadik his or her name will appear as a Link. Otherwise it will just be listed below the date. One spiritual ritual recommended by Rabbi Nachtman of Breslov is to say the Names of the Tzadikim starting with Adam and Chava and continuing until today. This list will be added as a link when it is available. In the meantime try doing this ritual with the Names of all the Tzadikim who passed in an Hebrew month. Here is a link to make a donation or to purchase a spiritual gift to help support the building of this list. Rabbi Tzvi Hirsh Chayos (or Chajes - Hebrew: צבי הירש חיות), the Maharatz Chayos, Rav of Zolkov . 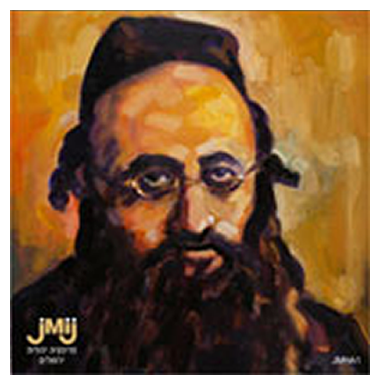 Born November 20, 1805 Brody, Ukraine, to Rabbi Meir Chiyus. He was one of the foremost Galician talmudic scholars, and a was a descendent of Rabbi Yitzchak Chiyus, the Zera Yitzchak. The family could trace their lineage back to David Hamelech. He studied under a number of great scholars of that time, particularly R. Ephraim Zalman Margulies, Rabbi of Brody. In addition to his traditional talmudic education, he was educated in modern and classical languages and literature, as well as geography, history and philosophy. He received smicha at the age of 21. At twenty two, he was called to occupy an important rabbinic position in the district of Zhovkva (Zolkiev), Galicia. In this position, he fought against the innovations being introduced into Judaism at that time, while also opposing the increasing conservatism among his Orthodox colleagues.Two years later, he was appointed Rabbi of ZolokovaIn and in 1854 he became Rav of Kalisch. Chajes died prematurely in 1855 at the age of 50, only three years after being appointed to the prestigious post of rabbi of Kalisz (Kalish), Poland. He was the author of Sheilos U’teshuvos Maharatz, Atreres Tzvi, and Divrei Horaa. He is best known for his work Mevo Hatalmud (Introduction to the Talmud), which serves both as commentary and introduction. Chajes is also known as "The Maharatz Chajes" (מהר"ץ חיות), the Hebrew acronym for "Our Teacher, the Rabbi, Zvi Chajes". His thoughts on Shas are printed in the back of Geamaras used today. Rabbi Tzvi Hirsch’s son. Rav Yitzchak, was mechaber of the sefer Siach Yitzchak on maseches Makkos. Rabbi Avraham David Wahrman of Butchatch (1771-1840). Born in Nadvorna, Galicia (today, in the Ukraine). In addition to his father, Avraham David also studied under his uncle Rabbi Yehoshua Charif. At age ten, Avraham Dovid became engaged to the daughter of Rav Zvi Hirsch Kara of Butchatch, and he moved to that town to study under his future father-in-law. Beginning in 1791, Rabbi Avraham David served as rabbi of Yazlowitz for 24 years. In 1814, Rabbi Zvi Hirsch Kara died, and Rabbi Avraham David was offered the rabbinate of Butchatch in his place. It was there that he spent the remainder of his days. His best known works are Da'as Kedoshim on parts of Shulchan Aruch Yorah Deah, and Eishel Avraham on Shulchan Aruch Orach Chaim. The latter work is printed in the back of standard editions of the Shulchan Aruch. Rabbi David Umoshe of Morocco. Mystery surrounds both the place of birth and the final resting place of Rabbi David Umoshe's bones. Tradition relates that Rabbi David arrived in Morocco from Palestine. In Morocco he gained a reputation as a man learned in Torah and able to effect cures. According to local tradition, by entering a fissure in the mountain, which closed behind him, he gave up his life in order to save the lives of thousands of Jews and Moslims in Timzerit who were suffering from a grave illness. He is therefore venerated by both Jews and Mosims. 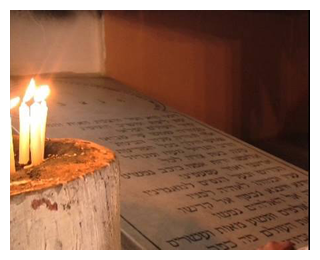 Thousands of pilgrims now light candles and pray for the Tzaddik's intervention in matters of health or good fortune, at his tomb in Tamzirit, accompanied by Judeo-Arabic hymns. This grave is the principal one visited, but those who are unable to make the difficult journey in the Atlas mountains can instead venerate Rabbi David in a synagogue raised in his name in the Moroccan city of Mogador. Then in 1973, Avraham Ben Haim, a devotee of Rabbi David who had moved from Morocco to Israel, dreamed that the Rabbi had come to him seeking a new home in Israel. As a result the devotee created a well-appointed place for the rabbi in Safed. As in Morocco, a massive annual hilulah takes place in this complex in Safed, which is a focus for the community of Moroccan Jews in Israel. Many believe that the tzadik's remains were transported from the Moroccan Atlas mountains to his new kever in Northern Israel. Rabbi Yosef Engel, Rabbi of Krakow and Vienna (1859-1919 some say 1910). Born in Austrian Poland, his rebbe refused to teach him any longer when he reached the age of 12, and between that age and his marriage at 19, he wrote eleven sefarim. Among his sefarim were Gilyonei Hashas, Shiv'im Panim LaTorah Lekach Tov, Esvan D'Oraysa, and Beis HaOtzar, a Talmudic encyclopedia. His only child, Miriam, married the heir to the leadership of the Kotzker chassidim, but he abdicated that position in order to remain near his father-in-law, Rav Yosef. At age 46, Rav Yosef left his wealthy father-in-law's home and, for the first time, had to seek a living. He found a position as one of several rabbinical judges in Krakow. During World War I, Rav Yosef fled with hundreds of other Rabbis to Vienna, where he died. Rabbi Yisrael Shapira (Spira), the Bluzhover Rebbe (1890-1989 some say 1990). A grandson of the Bnei Yissoschar, Rabbi Tzvi Elimelech of Dinov. His divrei torah on the parashios and Yomim Tovim were published by his talmidim in the sefer Shufra D’Yisrael in 2007. Rabbi Akiva Meir, Velbrozher Rebbe, the Divrei Haam, son of the Avodas Yissachar (1918). It is interesting to note that father and son chose the same Hilula 41 years apart. 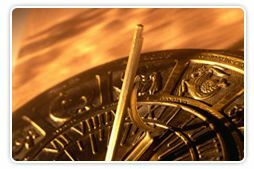 It is part of the Kabbalalh that a Celestial hour is 41 years. Rabbi Shmuel di Modena, the Maharashdam (1545). Some say his Hilula is 2 Cheshvan. Rabbi Yosef ben Rabbi Mordechai David of Dombrovna (1866) Talmid of the Chozeh of Lublin, Rabbi Chaim Meir Yechiel of Moglenitza and Reb Yisachor Dov of Radoshitz. Rabbi Baruch Hager, the Seret-Viznitz Rebbe, the Makor Baruch (1895-1963). Born to Rav Yisrael of Vizhnitz and Rebbetzin Hinda, a daughter of Rav Meir Horowitz of Dzikov, Rav Baruch was named after his grandfather, the Imrei Baruch of Vizhnitz, who had passed away two years earlier. In 1912, Rav Baruch married Henia, a daughter of Rav Yissachar Dov of Belz. He married a second time, to Tzyril, a daughter of Rav Eliezer Nisan of Dzikov/Tsfas, in 1923. He then became Rabbi of Polein-Riskova, and then served as the Rabbi of Kotzman, Romania, for nine years. He established a Talmud Torah, a Beis Yaakov school and worked extensively for Agudas Yisrael. In 1935, Rabbi Baruch moved to Seret, a Romanian town of about 2,000 Jews. The Ahavas Yisrael passed away soon afterwards and Rav Baruch became the Admor of Seret-Vizhnitz. It is estimated that of about 150,000 Romanian Jews exiled to Transnistria (including all those from Seret), some 90,000 perished of hunger, cold and persecution. Rabbi Baruch was ransomed for a huge sum in Adar of 1944 and made his way back to Romania. He finally moved to Antwerp, Belgium in 1946 together with his brother, the Imrei Chaim, and they stayed there for close to a year. He arrived in Eretz Yisrael in Sivan 1947, and set off to Haifa where he set up his court. There Rav Baruch established a yeshivah, a Talmud Torah and other Torah institutions. This laid the ground for the establishment of the famous community of Ramat Vizhnitz, built on the side of Haifa's Mount Carmel, laying its foundation stone on the 3rd day of Tammuz, 1954. Rabbi Baruch passed away at the age of sixty-eight before the culmination of his building project. Rabbi Elazar Simcha Wasserman (1992 some say 1996). The oldest son to his illustrious father, Rabbi Elchanan Wasserman, and a nephew of Rabbi Chaim Ozer Grodzensky, Rabbi Simcha learned at Novardok for several years, beginning shortly after his Bar Mitzvah, under the Alter of Novardok. He was also very close to the Chafetz Chaim. After his last visit with him, his father sent him to Strasbourg, France, where he started a yeshiva (at the time, the only yeshiva in France). He stayed until 1938, when he moved to America. When he set sail for America on the eve of World War II, Elazar Simcha Wasserman was a man with a mission. The foremost leaders of European Jewry had charged him with the task of creating a fountainhead of Torah in the United States, and for four decades Ray Simcha devoted his life to achieving this lofty goal. He first taught at Torah Vodaas, where he became close to Rabbi Shraga Feivel Mendlowitz. He worked closely with Rabbi Aharon Kotler in the Vaad Hatzalah during WWII. In 1944, Rabbi Simcha established the Bais Yehuda Day School in Detroit, the first in Michigan, and appointed Rabbi Avraham Abba Freedman as a Rebbe. Their first Shavuos, they were the only two to learn all night in the Beis Midrash. When Rabbi Simcha left in 1953, he left Rabbi Avraham Abba, who stayed another 50 years. He then founded the West Coast Talmudic Seminary (WCTS), or Ohr Elchanan (named after his father) in Los Angeles. He asked Chabad to take over the building and school in 1977. In 1979, he and his rebetzen (daughter of the Novardok Rav, Rabbi Meir Abowitz) fulfilled a lifelong dream by moving to Eretz Yisrael. Together with Rabbi Moshe Chadash, he established Yeshiva Ohr Elchanan in Yerushalayim. Rabbi Simcha and his rebbetzin never had children. Yet, Rabbi Simcha was considered by many to be a leading authority on the subject of child-rearing. Rabbi Yisrael Friedman of Ruzhin (1797-1850). Born to Reb Shalom, the Rebbe of Prohibisht (who was a son of Rebbe Avraham HaMalach, the son of the Maggid of Mezerich). He was engaged to the Rabbi of Berditchev at the age of seven; six years later, the chasuna took place. When Rabbi Yisrael turned sixteen his older brother, Rabbi Avraham (who had succeeded their father), was niftar, leaving no children. He was then succeeded by Rabbi Yisrael. When word reached the Rebbe that the Russian Czar intended to build a big church in the Old City of Yerushalayim, the Rebbe summoned Rabbi Nisan Bak who lived in Yerushalayim. Reb Nisan arrived there a few days ahead of the Russians and succeeded in buying the plot of land. The Czar was forced to buy a different plot of land, known today as the Russian Compound. The shul was known as the "Reb Nisan Bak Shul" and stood until 1948 when it was destroyed by the Arabs. Following the orders of the Czar, the Rebbe was locked up in the Kiev dungeons. The Rebbe spent 22 months locked in a small dark and damp cellar. A few days after the Rebbe was freed he fled Russia and settled in the town of Sadiger. The Rebbe's derech was carried on through his six sons. The Rebbe's oldest son, Rabbi Shalom Yosef, was niftar less than a year after his father and was succeeded by his son Rabbi Yitzchak, who became the first Bohusher Rebbe. The Ruzhiner's second son, Rabbi Avraham Yaakov, took his father's place in Sadiger. He had two sons, the eldest, Rabbi Yitzchak, was the first Boyaner Rebbe and the younger son, Rabbi Yisrael, was rebbe in Sadiger. The third son of the Ruzhiner was Rabbi Dov Ber who was rebbe in Lieov and the fourth son, Rabbi Menachem Nachum, was rebbe in Sthefanesht. The fifth son was Rabbi David Moshe, the Chortkover Rebbe, and the sixth son was Rabbi Mordechai Shraga, the Husyatiner Rebbe. The Ruzhiner also had four daughters. The third daughter, Miriam, was married to Reb Menachem Mendel of Vishnitz, founder of the Vishnitzer dynasty. Rabbi Yosef Zundel of Salant (Lithuania) (1786-1865), He was the Rebbe of Rabbi Yisrael Salanter; He learned under Rabbi Chaim Volozhiner, then after his petira in 1821, he would make trips to learn with Rabbi Akiva Eiger. Moved to Eretz Israel December 3, 1837. After moving to Eretz Yisroel he became one of the leaders of the Jews in Yerusholayim. He is the Father-in-law of Rav Shmuel Salant. Rabbi Eliyahu Horoshovsky, Rabbi of Drohbitz and author of Pnei Eliyahu and Ezur Eliyahu (1883). Rabbi Yitzchak Zelig Morgenstern, the Sokolover Rebbe (1864-1939). Born in Kotzk, he was the great - grandson of the Kotzker Rebbe. Married at the age of 18, he became Rabbi of Sokolov, a town near Shedlitz, at the age of 30. There he established the Yeshiva Beis Yisrael. In 1905, he succeeded his father as the Rebbe of Pilov. After a visit to Eretz Yisrael in 1924, he exhorted his followers to leave the Diaspora and settle the land. After the outbreak of World War II, he moved to Otwock, a village outside Warsaw. His eldest son, the Rabbi of Wengrov was stabbed to death by the Germans. Rabbi Shabsi Sheftel Weill, Rabbi of Simani, Hungary (1943). Rabbi Mordechai Miller, (1920-2000) was principal of Gateshead Seminary in northeastern England, where a growing community of Jews had settled in the 1940's. He was one of the closest students of Rav Eliyahu Dessler. R. Miller held a postgraduate degree in law, and had a promising future in the professional world. His uncle had a law firm in London and with his great talents Rabbi Miller would have been given a good position. Instead, he chose a life of spirituality over the luxury of the physical world, in order to spend his life al haTorah ve'al ho'avodoh. Rabbi Avraham Aba Zions (1911-1995). Born in Brisk, Poland. His father passed away when Rabbi Aba was just nine-years-old. His mother would bring him to one of the talmidei chachomim in Brisk to have him tested every week. When Rav Aba was twelve-years-old, he was sent to learn at the yeshiva of Rabbi Moshe Sokolovsky, author of the Imrei Moshe. Rabbi Aba was very close to the Imrei Moshe until the latter's petirah in 1931, and he assisted with the publishing of the Imrei Moshe's sefer on Maseches Beitzah, "Meleches Yom Tov." After a few years, Rabbi Aba went to Kaminetz to learn by Rabbi Baruch Ber Lebowitz. In or about the year 1936, Rabbi Aba returned to Brisk, starting a Talmud Torah there. Shortly after the outbreak of the war, Rabbi Aba escaped to Vilna. He was instrumental in the printing of Rabbi Baruch Ber's sefer Birchas Shmuel. From there he joined the Mirrer Yeshiva bochurim as they traveled to Kobe, Japan, and eventually to Shanghai, China. After the war, Rabbi Aba came to New York and accepted a position as Rabbi of Congregation Knesses Israel in The Bronx, where he served for 28 years. In 1948, Rabbi Aba married Rivka Tellem, of Tavrig, Lithuania, whose family had settled in Newark. Rabbi Shimon Groner, Mashgiach, Yeshiva Rabbeinu Chaim Berlin (1932-2005). Born in Brownsville, NY, to Rabbi Schnayer Zalman and Fayga Rochel Groner. Rabbi Schnayer Zalman was born in Yerushalayim, a scion of the well-known Grossman family, and he was a talmid of Yeshivas Eitz Chaim. He passed away when Shimon was only fourteen. Rabbi Shimon went to Chaim Berlin, where the Rosh Yeshiva, Rabbi Yitzchak Hutner treated Shimon like a son. Rabbi Groner was married in 1959 to Nechama Dubba Fishbein and continued his learning in the Kollel Gur Aryeh of Chaim Berlin. He taught the seventh and ninth grades in Yeshiva Ohr Yisrael of Forest Hills and from there was called by Rabbi Hutner to help found the Mesivta Chaim Berlin in Flatbush. After four years, he became a maggid shiur in the beis medrash, and in 1978 was appointed mashgiach ruchni, a post he held for his remaining 27 years. Rabbi Ovadia Joseph Modern Halacha Tzadik for the Sefardim. He died in the year 5774. Here is an essay from a particular synogogue that reflect positive thoughts on the night of his 3rd Hilula. In our Bet Knesset, we merit to mention Hacham Ovadia ten or twenty times every day, quoting his various rulings and teachings. Nevertheless, we will present some special words of praise, in commemoration of his third Yahrzeit, the 3rd of Heshvan. Hacham David Yosef related that about fifteen years ago, his father, Hacham Ovadia underwent bypass surgery. Upon arriving at the hospital, he was informed that it was an urgent and dangerous procedure. The doctors told him that there were risks involved, and he may not survive. He responded, “If that’s the case, I must first go home and settle some affairs, and then I will return.” Although they told him that returning home in a car was also risky, he would not be dissuaded. When he returned home, he went straight to his study and completed a Teshuva (responsa) to free an Aguna. “He said, “If I were to leave this world, who would allow her to get married?” He put this woman’s welfare ahead of his own wellbeing. This is one small example of Hacham Ovadia’s great love for Am Yisrael. We generally don’t emphasize this aspect of his personality enough. We usually focus on his greatness in Halacha. That greatness stemmed from his love of Am Yisrael. He loved them so much that he delved into all of their problems and cases, enabling them to live their life according to the Halacha. The Gemara relates that when the great sage, Rav, passed away, his students ripped their clothes. Afterwards, during the Seudah, a Halachic question arose regarding the Birkat Hamazon. None of the students was able to answer the question, so they ripped their clothes again, because they re-experienced the great loss. They said that if Rav would still be with us, we wouldn’t have this question. So too, with regard to Hacham Ovadia, it’s as though we rip our clothes every day. So many new questions arise every day, that he could have clarified for us, if he would have remained with us. We no longer have anyone of that caliber to consult. On one hand, there is a Nehama (consolation) that he left us with so many books. On the other hand, imagine how many more books we could have received if we would have merited to have him stay with us longer. Therefore, we are never fully consoled at the death of a Tzadik. We always could have received more. Baruch Hashem, our congregation merited to be the only congregation in the world to go to Eres Yisrael on his first Yahrzeit with a Sefer Torah in his memory and enter his study, where he wrote so much Torah. It is clear that in Heaven, our Kahal (community) is connected to this great Rav The fact that three years have passed does not make it any easier for Klal Yisrael, until he rises again in the Tehiyat Hametim (resurrection of the dead), together with his wife and entire family, along with all the Gedolim we quote in our Shiurim. Rav Kalonimus Kalman (sometimes written Kalmish) Shapira (sometimes spelled Shapiro), Piazetsna (Piasetsna) Rebbe, author of Chovas Hatalmidim, Aish Kodesh, Derech Hamelech, and others. (1889-1944 some say 1943). His father, Rabbi Elimelech of Grodzisk, was a direct descendant of the Magid of Kozhnitz and of the "Noam Elimelech" of Lizhensk. He was named Kalonimus Kalman after his maternal grandfather, the Maor Vashemesh. In 1905, Rabbi Kalonimus Kalman married Rachel Chaya Miriam, the daughter of Rabbi Yerachmiel Moshe of Kozhnitz. She helped him prepare his drashas and seforim, even adding pertinent insights of her own. After the Warsaw Ghetto uprising was crushed in Nissan 1943, Rabbi Klonimus Kalmish was taken to the Trevaniki work camp near Lublin. Prisoners who were completely "worked out" by exhaustion and starvation were removed and sent to the Treblinka and Rabbi Klonimus Kalmish met his death there on 4 Cheshvan, 1944. Rabbi Aryeh Leib [Aryeh Zev] (“Rebbi Leib”) Gurwitz, rosh yeshivas Gateshead, author of Roshei She’arim (1982 some say 1983). Rabbi Yaakov Yitzchak Dan Landa, the Strikover Rebbe (1943). The son of Rabbi Elimelech Menachem Mendel Landau, he was murdered by the Nazis. Rabbi Yoav Yehoshua Weingarten of Kintzk, the Chelkas Yoav (1845-1923). His foundation in learning was established by Rabbi Zev Nachum Borenstein, the Agudas Eizov, but his rav muvhak was his son, Rabbi Avraham Borenstein, the Avnei Nezer, who was only 6 years his elder. In 1883, Rabbi Yoav accepted the positions of Rav and Rosh yeshiva in Litomirsk. In 1889, he became Rav of Gustinin, and founded a yeshiva there. From 1894 until his petira, he served as Rav in Kintzk. In 1894, he published Chlkas Yoav. He also published a sefer called Kava Dekesheisa, 103 unanswered kushyos on Shas intended to whet the minds of bnei yeshiva. After the petira of the Avnei Nezer, Rav Yoav accepted the authority of his son, the Shem MiShmuel. After his own petira, his only son, Rav Meir succeeded him as Rav of Kintzk. His son held the post for 27 years until he and his entire family were murdered. Some say his Hilula is 3 Cheshvan. Rabbi Avraham Yosef Rice (1862), pioneer of the Baltimore Jewish community and founder of one of the first Hebrew schools in the U.S. Rabbi Shlomo David Yehoshua Weinberg of Slonim HY"D(1944 same say 1943) He is the son of Rabbi Avraham, known as the Bais Avraham. Rabbi Shlomo David is known as the Admor hatzair of Slonim. Rav Yehuda Meir Shapiro of Lublin (1887-1933). His father, Rav Yaakov Shimshon Katz of Shatz, Romania, was a descendant of Rav Pinchas Koretz, a disciple of the Baal Shem Tov. His mother, Margala, was the daughter of Rav Shmuel Yitzchak Schor, author of Minchas Shai, and a descendent of the author of Tevu’as Shor. He was also a descendent of Rav Bechor Shor of Orleans, one of the Baalie Tosefos. He was married in 1906 and took his first appointment, Rabbi of Galina, in 1911. In 1921, he became Rabbi of Sanok, then in 1924 Rabbi of Piotrkov. It was while there that he wrote his sefer Or HaMeir. Also in 1923, he began the first cycle of Daf Yomi, having shared this idea at the first Knessiah Gedolah of Agudath Yisrael the previous year. He was a Chosid of Rabbi Yisrael of Chortkov, who told him to spread the idea of Daf Yomi. 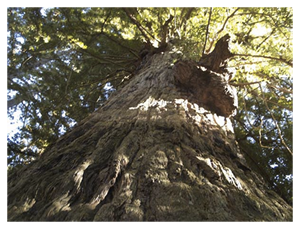 That first cycle began on Rosh Hashana in 1923 and was completed 2702 days later on Tu Bishvat in 1931. His other major project was to found the yeshiva Chachmei Lublin, in 1930. Rabbi Yehuda Tzvi Eichenstein of Rozdol (or Rozla), author of Daas Kedoshim (1791-1847). The son of Rabbi Moshe of Sambor and son-in-law and successor of Rabbi Zvi Hirsch of Zidachov, he became the Rebbe of Rozdol and was considered one of the leading kabbalists of his generation. Rabbi Menachem Nachum "Hachasid" Kaplan (Nachumke) of Horodna, Lithuania (1811-1879). When he was nine years old, he lived in the home of Reb Yehuda Leib Ganker and learned with this wealthy man every morning. Later, he wandered through Lithuania until he came to Amshina, where he studied under Rav Avraham Kahane. Eventually, he was accepted to the Mirrer yeshiva and became close to its mashgiach, Rav Yisrael Heller. He married the daughter of wealthy man, but after a number of years, his father-in-law died. Poverty- stricken, Reb Nachumke took a job as a shamash in the Chevras Shas Beis Midrash in Korodna. However, his fame spread, and many throughout eastern Europe came to observe him and learn from him. Among those was the Chafetz Chaim, then only 15 years old. Rabbi Yaakov Rosenheim, founder of Agudas Yisrael (1870-1965). Rabbi Meir of Narbonne (HaMeili) (1190-1263), author of Sefer HaMeoros (halachic material on Berachos, Chullin, and Seder Moed). Died in Toledo, Spain. Rabbi Meshulam Shaltiel (1870-1926). Born in Sofia, he moved to Yerushalayim while still very young. Rabbi Moshe Yosef HaKohen Tawil, zaken rabbanei Aram Soba (Aleppo, Syria). His Hilula is 1977 which is 5737 תשלז in the Hebrew Calendar. Founded the Degel HaTorah yeshivah with Rav Shlomo Zafrani. Rabbeinu Asher ben Yechiel, the Rosh (1250-1327). One of the three primary rishonim on whom the Rabbi Yosef Karo relied for the Shulchan Aruch. Rav Asher’s family traced its lineage to Rabbeinu Gershon. Rabbi Asher learned under Rabbi Meir of Rotenberg. After 10 years as the successor of Rabbi Meir and the leader of German Jewery, he escaped German persecution and settled in Toledo, Spain. Rabbi Yosef Yehuda Leib Bloch (1860-1930 some say 1928 and others 1929). Born in Rusein, he succeeded his father-in-law, Rabbi Eliezer Gordon, as Rosh Yeshiva of the Telshe Yeshiva. Telz is one of the oldest towns in Lithuania, situated in the north-western part of Lithuania on the shores of Lake Mastis, and was already mentioned in the chronicles of a Crusader Order in 1320. Jews settled in Telz at the beginning of the 17th century. 2,500 people lived in Telz in 1797, of them 1,650 were Jews (66%). By 1870 Telz had 6,481 residents, including 4,399 Jews. Rebbi Yosef Leib already began studying under Rabbi Leizer at the age of 15, in Kelm and married Rabbi Leizer's daughter at the age of 21. Rabbi Yosef Leib initiated many innovations. In 1894, he attempted to introduce Mussar to the yeshiva's curriculum, and in 1897 he brought Rabbi Yehuda Leib Chasman zt"l to serve as the yeshiva's Mashgiach. Some say his Hilula is the 7th Cheshvan. Rabbi Shimon Yehuda ben Rabbi Yitzchok Shmuel HaKohen Shkop of Grodno (1860-1939 some say 1940). Born in Turz, Poland, Rabbi Shimon studied in Mir at the age of 12, and then Volozhin at the age of 15, with Rabbi Chaim Soloveitchik. He was brought to Telshe in 1885 by his uncle, Rabbi Lazer Gordon. Rabbi Shimon’s brother-in-law, Rabbi Shlomo Zalman Abel, was one of the three founders of the Telshe Yeshiva. He taught at Telshe for 18 years. He succeeded Rabbi Alter Shmuelevicz as Rosh Yeshiva of Yeshiva Shaarei Torah in Grodno, from 1920 to 1939, transforming it into one of the finest yeshivos in Poland and beyond. In 1929, Rabbi Shimon Shkop came to America to raise funds for the yeshiva, and accepted Rabbi Dov (Bernard) Revel's invitation to serve as rosh yeshiva of Yeshiva Rabbeinu Yitzchak Elchanan in New York. However, at the request of the Chafetz Chaim, Rabbi Shkop returned to Europe after six months. In 1939, the Soviet Red army marched into Grodno during the Asseres Yemei Teshuva. Most of the talmidim fled to Vilna, but Rabbi Shimon Shkop was too old and sick to travel and remained behind with a few talmidim. He passed away a month later. Rabbi Shimon Shkop was the author of Shaarei Yosher. Rabbi Yehuda Horowitz, the Stutchiner Rebbe (1981).He is a descendant, of ben acher ben, from Rabbi Naftali of Ropshitz. Gad ben Yaakov Avinu (1566 BCE-1441 BCE some say 1563 BCE - 1438 BCE). He is the Progenitor of the Tribe of Gad. Rabbi Meir, Rav of Lelov and of Ostroha, author of Meir Nesivim (1789). Rabbi Yosef Meir, Rav of Golina (1831). Rabbi Meir Shapit of Kobrin, author of Nir Liyerushalmi (1872). Rabbi Dov Beirish Weidenfeld, the Tchebiner Rav (1881-1965). One of the Gedolei Hador of his time in Eretz Yisroel. His maternal grandfather was the seventh link in an unbroken chain of poskim beginning with the Shach. Beirishel's paternal grandfather was a disciple of Rabbi Yaakov Loeberbaum, author of Nesivos HaMishpat. His father, Rabbi Yaakov Weidenfeld, founder of the Kochar MiYaakov Yeshiva, was his primary teacher until he was nifter in 1894, just two weeks prior to Reb Beirishel’s Bar Mitzvah. Thereafter, he became a student of his two older brothers, Rabbi Yitzchak of Horimlov (where Beirishel was also born) and Rabbi Nachum of Dombrova. At the age of 19, Rabbi Beirish married Rebbetzin Yachat, the daughter of Rabbi Yisrael Yosef Kluger of Tchebin. At the age of 24, he received semicha from Rav Yitzchak Shmelkish, the Beis Yitzchak. His wife administered a modest coal business to support him. In 1923, after 20 years of learning, he assumed the title of the Tchebiner Rav. Along with his wife and youngest daughter, the Rav was deported to Sverdelovsk, Siberia, in late 1940. With the dissolution of the labor camp, the Rav escaped to Buchara. The Tshebiner Rav arrived on the eve of Pesach, 1946, in Jerusalem, which he was to call home for the rest of his life, settling in the Shaarei Chessed neighborhood. His response were collected in the sefer Doveiv Meisharim. His son-in-law and successor as Rosh Yeshivah of Kochav MiYaakov is Rabbi Baruch Shimon Schneersohn. The Kabbalists teach that this is a good night for an all night study for Rachel Imenu. Join us on our Phone Conference study at 1-857-232-0300. Use the pincode of 911904#. This will start at 10 PM West Coast Time. Metushelach ben Chanoch, died at age 969. (3072 BCE - 2103 B.C.E. Some say 3074 BCE - 2105 BCE). This is the longest lived man. What can be learned from him? Metushalach lived 969 years out of this 1000 allotted years. Why not all 1000. The difference of 31 (which is the Gematria of the Name of God in Keter (אל or (k)EL) teaches us that our connection to HaShem will lengthen our lives as well. Also there is only one verse in the Tanach that has a Gematria of 969. It is verse from Tehillim (Psalms) Chapter 145 Verse 9. Here it is: טוב-יהוה לכל ורחמיו על-כל-מעשיו The LORD is good to all; and His tender mercies (Loving Kindness) is/are over all His works. The Gematria of the first letter and the last letter of this verse (which represent the energy of the verse) is 49. 49 represents a duality of the 49 Gates of Negativity or Positivity. 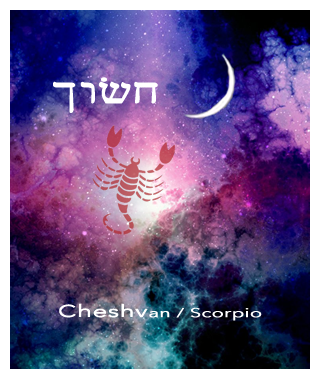 Just as the Acrav/Cheshvan represents the duality of the Coldness of the Flood and the potential passion of the 72 Names of God. Rachel Imeinu (1552 B.C.E. Some say 1554 BCE) (according to the GRA, became niftar when she was 36 years old, according to Sefer Hayashar, or when she was 45. She died as a direct result of Loshon Harah spoken by her husband Yaacov to her father Lavan. She died in childbirth giving birth to BenYamin who also died on this same day as his birth after having lived to a ripe old age. Please see below. Click Here for a deeper study and commentary on Jewish Mothers Day - The Hilula of Rachel Imeinu. Binyamin ben Yaakov Avinu (1441 B.C.E.some say 1445 BCE). BenYamin is known as a Tzadik. He is buried near Kfar Saba. This comes from his dying on the same day as his birth. This is an indication of a Tzadik. Some say his Hilula is 24 Cheshvan. Rabbi Menachem Nachum Twersky, the Chernobyl Rebbe (1730-1797), a student of the Baal Shem Tov and the Magid Mezritch. He authored Meor Einayim. He was succeeded by his son, Mordechai1, founder of the Chernobyl dynasty, the descendents of which are the Skverer Chasidim, the current Rebbe of whom is Rabbi David Twersky of New Square, NY. Rabbi Pesach Pruskin, Rav and Rosh Yeshivah in Kobrin (1879-1939 some say 1940). Born to his widowed mother (he was named after his father, who died several months prior to his birth), in abject poverty. She took her five children to the home of her grandfather, Rabbi Pinchas Michael, who was Rav in Antipole. In his teens, he joined the yeshivah of the Chofetz Chaim in Radin He later went to Slobodka, where he was inspired by the Mussar of "der Alter," Rabbi Nosson Tzvi Finkel.and spent a year at Kelm with Rabbi Simcha Zissel Ziv The Alter of Slobodka, constantly searching for suitable cities in which to establish yeshivos, selected Slutsk, a large city in White Russia, for his next undertaking. He dispatched Rabbi Isser Zalman Meltzer as Rosh Yeshivah, with fourteen talmidim - among them Pesach Kobriner. He became mashgiach in Slutsk, than – in 1911 – Rav of Amtsislav (also called Mistsislav); there he opened a yeshiva. When the Bolsheviks took over Russia, and his native city of Kobrin was incorporated into Poland (by the Soviet-Polish treaty of Riga, 1922), he escaped the Communist rule to Kobrin. Where he became Rav and opened another yeshiva. He is a Rabbeim of Rabbi Moishe Feinstein. Rabbi Avraham Elimelech Weinberg, founder of Slonimer Chassidus (1804-1883), He was a talmid of Rabbi Noach and Rabbi Michel of Lechovitch and Rabbi Moshe of Kobrin. a disciple of Rav Noach of Lechovitz, and author of Be'er Avraham on Mechilta, Yesod Ha'avodah, and Chessed L’Avraham. He was was active in the spread of the Chasidic movement in Lithuania and was a main organizer of support for the religious communities in the Holy Land. Rabbi Yehuda Leib Chasman, mashgiach of Yeshivas Chevron (1869-1935 some say 1936). Learned in Kelm under Rabbi Simcha Zissel Ziev, in Volozhin under the Netziv as well as that of the Rabbi Chaim Halevi Soloveichik of Brisk. In 1897, he was brought to serve as the Telz yeshiva's Mashgiach. He established the independent Yeshiva in Shtutshin in 1908. In 1912, he was rabbi of Shtutsin. In his last years, he was the spiritual director of the Slabodka Yeshiva in Hebron and in Jerusalem. In 1926, he became mashgiach at Chevron. Author of Ohr Yohel. Among his talmidin was Rav Shlomo Schwadron. Rabbi Shneur Zalman Aharon Ben Rebbe Maharash nicknamed Razoh Razoh, as he was known, was born on the 19th of Tammuz, 1847, 5607 to his father, the Rebbe Maharash and his mother Rebbetzin Rivka. He was named after the Alter Rebbe and his maternal grandfather, Rabbi Aharon Aleksandrov of Shklov. The Rebbe Tzemach gave each baby boy in the family an acronym, and so he was known as "Razoh". When he was but a tot of three, the Rebbe Tzemach Tzedek suggested him as a match, to his son Rabbi Yisroel Noach. Rabbi Yisroel Noach hesitated, saying that maybe he won't grow up to be a Talmid Chochom. The Tzemach Tzedek replied:" A Talmid Chochom like you he will surely be, and possibly he will learn better than you." Razoh was blessed with many talents, and refined middos. His father, the Rebbe Maharash said of him: He has a 'strong' head, and is able to think two thoughts simultaneously." The Rebbe Rayatz spoke about his uncle, the Razoh, at a farbrengen. "My uncle possessed refined attributes from birth. He had a strong heart. Even as he suffered greatly- and he did indeed endure much suffering in his lifetime- he was always smiling. He never shed a tear over his own pain, but when he heard about another's suffering, his smile faded and tears glistened in his eyes, and he did all in his power to help the one in pain." After his father's histalkus, the Razoh refused to become Rebbe, went into business, and assisted Kllal Yisroel in many ways. 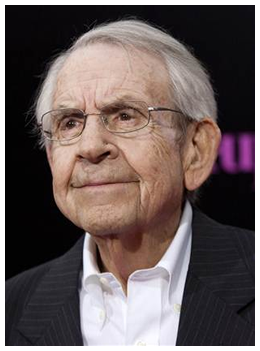 While not generally recognized by the Jewish World as a Tzadik,Tom Bosley a well know actor who played Mr C on the Happy Days Sit Com and also featured in the Showa documentary "Paper Clips" Yartzeit is from 2010 which is 5771. Rabbi Zev Wolf Kitzis (1788) Talmid and Baal Tokea of the Baal Shem Tov, who he is buried immediately next to. Rabbiv Yehuda Tzadka, rosh yeshiva of Porat Yosef (1909-1991 some say 1992). Born in Yerushalayim, Rav Yehuda was a great-great grandson of Rav Tzadka Chutzin, author of Tzedaka U’misphat. His mother, Simcha, was the Ben Ish Chai’s niece. The Tzadka family lived in the Beis Yisrael neighborhood of Yerushalayim. When he was 12 years old, Yehuda Tzadka enrolled in the Porat Yosef Yeshiva in the Old City. There, he became very close to Rav Ezra Attia. At the age of only 27 years, he was appointed to teach at the yeshiva. Among Reb Yehuda’s first students was Rav Ovadia Yosef. In time, Rav Yehuda became the menahel ruchani, and with the petira of Rav Ezra Attias in 1970, he was appointed to new Rosh Yeshiva. Rabbi Nachum of Shadik, Yerushalayim He is called the Great Rov in Yerushalayim. His Hilula is 1866. Rabbi Yehuda Hachassid, Ben Rabbi Shmuel HaChassid. He is an author of Sefer Hachassidim. There are many dates given for his Hilula. 1217 is the most common. Rabbi Tzvi Shraga Grossbard (1916-1993) was born in Visan, Lithuania. His father, Rabbi Aharon Zev, was an outstanding talmid of the Chafetz Chaim. When Tzvi Shraga was still a youngster, his father was brutally beaten to death by Lithuanian thugs because he refused to inform on a fellow Jew. At the age of nine Tzvi Shraga joined Yeshivas Sha'arei Torah in Grodna. At age 14, Rabbi Tzvi Shraga entered Grodna's yeshiva gedola and formed a close bond with the famed Rav Shimon Shkop. Afterwards, he became one of Rabbi Baruch Ber Lebowitz's select students in Yeshivas Kaminetz, and at the beginning of the Second World War he studied for a year and a half under Rav Daniel Movshovitz in Yeshivas Kelm. In 1941, Rabbi Tzvi Shraga left Europe for Eretz Yisrael. There, he joined the Lomza yeshiva in Petach Tikvah headed by his uncle, Rabbi Abba Grossbard. Rabbi Tzvi Shraga also became the head of Tel Aviv's beis mussar and developed a strong friendship with mussar giant, Rabbi Eliyahu Dessler who was then spiritual mashgiach of the Ponovezh Yeshiva. The two men studied b'chavrusa each week in Rav Tzvi Shraga's home. In 1967 Rav Tzvi Shraga Grossbard became the director of Chinuch Atzmai and he remained at its helm for 25 years. Rabbi Baruch of Kosov (1782). Disciple of the Maggid of Mezritch and of Rabbi Menachem Mendel of Vitebsk; author of Yesod HaEmunah and Amud HaAvoda. Rabbi Haim Nahum Effendi (1872-1960). Served as Sephardic Chief Rabbi of Egypt (1925-1960). He was witness both to a vibrant community of 80,000 Jews living in Egypt and also to the community's disintegration after 1948 when government hostility, violence, economic restrictions, confiscation and deportation caused most Jews to leave. Born near Izmir in Turkey, he was sent by his parents to learn in a yeshiva in Tiveriya and later went to a French Lycee for his secondary education, obtaining a degree in Muslim law in Constantinople. He also attended the Sorbonne's School of Oriental Languages, where he perfected his linguistic abilities and also studied history and philosophy. In 1923, Rabbi Nahum received an invitation from Moise Cattaoui Pacha, head of the Jewish community in Cairo, to become the Chief Rabbi of Egypt and was appointed to serve as a Senator in the nation's Legislative Assembly. 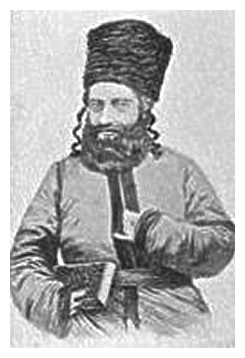 Rabbi Leib Baal HaYisurim in Tzefas (1836) Some say his Hilula is 15th of Cheshvan. Rabbi Avraham Elimelech Perlow of Stolin-Karlin ben Rabbi Yisael (1891-1942). Born to Rav Yisrael “the Yenuka” of Stolin, Reb Avraham Elimelech married in 1912. He succeeded his father as Rebbe in 1922; most of his father’s Chasidim followed him as he settled in Karlin, while his brother, Rav Dovid of Zlatipol led a flock to Stolin. In 1929, Rav Avraham Elimelech founded a yeshiva in Luninetz. He, his Rebetzin, and his two sons were murdered by local Ukranian peasants. These deaths are considered Kiddush HaShem. His actual Hilula is not known. This day has been chosen as his Yom Hazikaron. A collection of his chidushei Torah have been recorded as “Kuntres Pri Elimelech” and printed in Yalkut Divrei Aharon and in Birchas Aharon. Mattisyahu ben Yochanan, Kohen Godol, father of the Chasmonaim (138 BCE, or 165 BCE some say 166 BCE). Rabbi Eliezer ben Yitzchak ibn Archa (1651). Born in Tzefat, he moved to Chevron, where he served as Rav of the small Jewish population for most of his life. According to the Chida, he wrote many works including a commentary on Ein Yaakov and on Midrash Rabbah. Rabbi Leib "Baal Yisurim" (1836), from the greatest talmidim of the Baal HaTanyain, Buried in Tzefat. Before he died he said that anyone that has a tzarah should come to daven at his kever and he will be helped. Rabbi Chaim Pinto the Second was born in Mogador (current Essaouira), Morocco (-1939). His grandfather, Rav Chaim the First, was the great-grandson of Rav Yosef Pinto, who fled from Spain to Rome with 26 talmidim after the 1492 expulsion. However, he had to flee to Damascus after local priests trapped him into a theological debate and soundly lost. When the Jewish population of Mogador began thinning out, Rav Chaim the Second moved to Casablanca, while his son, Rav Moshe Aharon Pinto, stayed Mogador to prevent his father’s shul from closing down. Some say his Hilula is 16th of Cheshvan. Rabbi Avraham Yeshaya ben Rabbi Shmayahu Yosef Karelitz, Chazon Ish (1878-1953). Desended from the Maharal, Baal HaMaor and Baal HaPardes. He was one of the greatest and most respected Gedolim of his time. Educated by his father, the Av Beis Din in Kosova, Poland (near Grodno)), his first work on several parts of the Shulchan Aruch was published anonymously in Vilna in 1911 under the title "Chazon Ish," by which name he became known. He moved to Vilna about 1920 and moved to Eretz Yisrael in 1933, settling in Bnei B'rak. Upon his arrival in Eretz Yisrael, he devoted vast amounts of time and energy to Seder Zeraim, which deals mainly with laws pertaining to the land, to answer the many halachic problems inherent to a life in the Holy Land consistent with Torah. 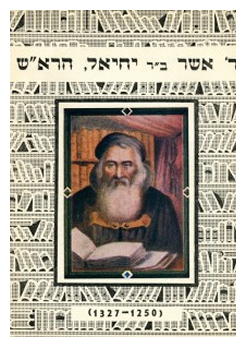 Rabbi Elazar Menachem Mann ben Rabbi Azriel Shach (1894?-2001). Born in Vaboilnick, Lithuania, and left for Ponevezh (38km away) at age 7. Learned at Slabodka under Rabbi Yechezkel Bernstein (Divrei Yechezkel), then under the Alter Reb (Rabbi Nosson Tzvi Finkel, and developed a close relationship with Rabbi Isser Zalman Meltzer, whose niece Rabbi Shach eventually married. In 1927, he served as Rosh Mesivta at Kletzk under Rabbi Aharon Kotler, holding the same position at Novardok from 1932-34. In 1951, he started his career as Rosh Yeshiva at Ponevezh under Rav Yosef Kahanemen. Rabbi (Reb) Shlomo Carlebach (1925-1994), the foremost Jewish songwriter in the 2nd half of the 20th century, who used his music to inspire Jews around the world. Over his 69 years, he lived in Manhattan, San Francisco, Toronto and Moshav Or Modiin, Israel. In a recording career that stretched over 30 years, Reb Shlomo sang his songs on more than 25 albums. Shlomo Carlebach was born in Berlin, where his father, Naftali, was an Orthodox leader. The family, which fled the Nazis in 1933, lived in Switzerland before coming to New York in 1939. His father became the rabbi of a small synagogue on West 79th Street, Congregation Kehlilath Jacob; Shlomo Carlebach and his twin brother, Eli Chaim, took over the synagogue after their father's death in 1967. He studied at the Yeshiva Torah Vodaath in Brooklyn and at the Bais Medrash Gavoah in Lakewood, N.J. From 1951 to 1954, he worked as a traveling emissary of the Grand Rabbi of Lubavitch, Rabbi Menachem Mendel Schneerson. His singing career began in Greenwich Village, where he met Bob Dylan and other folk singers, and moved to Berkeley for the 1966 Folk Festival. After his appearance, he decided to remain in the Bay Area to reach out to what he called "lost Jewish souls," runaways and drug addicted youths. His daughter follows in his footsteps as singer/songrwriter as well. Rabbi Binyomin Zev ben Rabbi Nechemia Cheshin (1988) great mekubal involved in the Kiruv movement. He was also one of the Ziknei Breslov of his time. He descended from the talmidim of the Vilna Gaon. He has several well known sons. Rabbi Menachem Mendel Hager of Kosov (1768-1825), founder of the Vizhnitz and Kosov dynasties and author of Ahavas Shalom. The son of Rabbi Yaakov Koppel Chassid, Rav Menachem Mendel was a student of Rabbi Moshe Leib of Sassov, Rabbi Tzvi Hirsch of Nadvorna, and Rabbi Ze’ev Wolfe of Tcharne-Ostra. His grandson was Rav Menachem Mendel of Vizhnitz.. Rabbi Reuven Katz, rabbi of Petach Tikva and author of Degel Reuven. His son, Rav Leizer Katz, was a rav in Passaic, New Jersey, for many years until his petira in 2001. Rabbi Meshulam Zushe Twersky, the Chernobyler Rebbe of Bnei Brak (1917-1987). An eighth generation direct descendent of the Rav Menachem Nachum of Chernobyl, Rav Meshulam Zushe was born in Mozyr, Belarus. He lived and learned with his maternal grandfather, the Admor of Tchetchov, Rav Yeshaya Halberstam, the youngest son of the Divrei Chaim. In 1959, he moved his court to Bnai Brak. He was succeeded by his son, Rabbi Menachem Nachum. Rabbi Tzvi Pruzansky (2005). He helped found the Toronto Kollel, and established, along with his friend, Rabbi David Hersh Mayer zt"l, Yeshivas Beis Binyomin in Stamford, which was named after Rabbi Tzvi's father and funded by Rabbi Tzvi's brothers, ybl"c, Reb Yosef and Reb Moshe. Rabbi Meir Ben KahanneMartin David Kahane also known as Meir Kahane (Hebrew: מאיר דוד כהנא‎, and by the pen-names Benyac and David Sinai and the pseudonym Michael King, David Borac, and Martin Keene. (1 August 1932 – 5 November 1990) was an American-Israeli rabbi and ultra-nationalist writer and political figure. He was an ordained Orthodox rabbi and later served as a member of the Israeli parliament or Knesset. Kahane was known in the United States and Israel for political and religious views that included proposing emergency Jewish mass-immigration to Israel due to the imminent threat of a "second Holocaust" in the United States, advocating that Israel's democracy be replaced by a state modeled on Jewish religious law, and promoting the idea of a Greater Israel in which Israel would annex the West Bank and Gaza strip. In order to keep Arabs, whom he stated would never accept Israel as a Jewish state, from demographically destroying Israel, he proposed a plan allowing Arabs to voluntarily leave Israel and receive compensation for their property, and forcibly removing Arabs who refused. Kahane founded both the Jewish Defense League (JDL) in the USA and Kach ("This is the Way! "), an Israeli political party. In 1984 he became a member of the Knesset when Kach gained one seat in parliamentary elections. In 1988, the Israeli government banned Kach as "racist" and "undemocratic" under the terms of an ad hoc law. 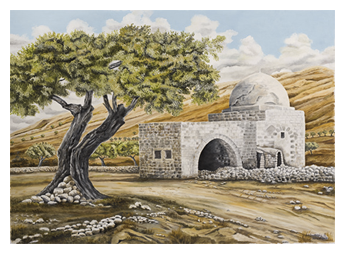 In 1994, following the Cave of the Patriarchs massacre perpetrated by a Kahane follower, Kach was outlawed completely. Kahane was assassinated in a Manhattan hotel in 1990, after concluding a speech warning American Jews to emigrate to Israel before it was "too late." The assassination occurred shortly after 9 p.m., following a speech to an audience of mostly Orthodox Jews from Brooklyn; as a crowd of well-wishers gathered around Kahane following the speech in the second-floor lecture hall in midtown Manhattan's Marriott East Side Hotel. El Sayyid Nosair fatally shot Kahane in the neck. Rabbi Yishayah Bardaky (1862). Rabbi Bardaky was born in Pinsk and taught Torah there, but he decided to settle in Eretz Yisrael after his first wife died. When the ship carrying Rabbi Bardaky, his son, Shmuel Akiva, and his daughter, neared the port of Akko, it was wrecked, and all the passengers were thrown into the sea. Rabbi Bardaky, however, was a powerful swimmer, and, with his two children on his back, he swam ashore. Upon reaching Yerushalayim, Rabbi Bardaky was appointed head of the Ashkenazic community. He also was appointed vice-consul of the Austrian Empire. Rabbi Nachum Pertzovitz (Partzovitz), Rosh Yeshivas Mir Yerushalayim (1986). At the age of 9, he attended Ramailles Yeshiva in Vilna, and became close to its rosh yeshiva, Rabbi Shlomo Heiman. Rabbi Meir Kahane, assassinated November 5, on a visit to New York City (1932-1990). Born in Brooklyn, NY, to Rabbi Charles Kahane, who was involved in the Revisionist Zionist movement, and was a close friend of Zev (Vladimir) Jabotinsky. Meir was active in Betar, the militant revisionist youth movement. Kahane received a degree in International Law from New York University, and ordination from the Mir Yeshiva in Brooklyn. He edited the Jewish Press, and served as a pulpit rabbi and teacher in New York until the mid-1960s. His life's work, however, started in 1968, when he founded the Jewish Defense League (JDL), setting out to change the image of the Jew from "weak and vulnerable" to one of a "mighty fighter, who strikes back fiercely against tyrants." Kahane and his family moved to Israel in 1971, where he founded the militantly anti-Arab Kach party. His son, Binyamin Zev Kahane was murdered by Arab extremists in 2001, as he traveled with his family in the West Bank. 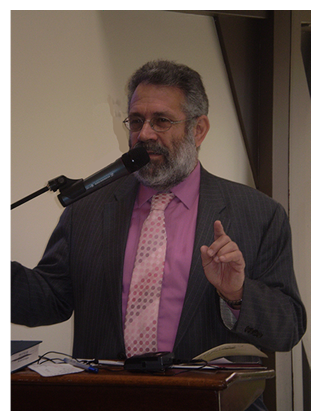 Rabbi Nechemiah Kibel (1952-2005). Born in Memphis, Tennessee, to Holocaust survivors, Rabbi Kibel entered the newly founded Yeshiva of the South, under Rabbi Meir Belsky, who was one of the first talmidim of Rabbi Yitzchak Hutner. He served as a magid shiur at the yeshiva in Memphis, then founded and taught at RITSS (Regional Institute for Torah and Secular Studies), Cincinnati’s Bais Yaakov in 1989. A few later, he played a major role in the founding of Cincinnati’s Community Kollel. Hevel הבלBen Adam HaRishon and Chava Bat HaShcinaEveryone know the story, they learned as children, about Cain killing Abel/Heve. What most don't learn is why he is killed. The physical reasons of Jealousy is not why some one dies. Kabbalah teaches that someone dies due to their own actions of negativity. In this case the Torah/Bible teaches us that Hevel ALSO brought a sacrifice. Even though his sacrifice was accepted because it was the best of his flock, he brought it as an after thought of his dealing with the physical world. For someone of this level of consciousness this warranted death. Hashem judges the Tzadikim more harshly than regular people. Another physical reason for the jealousy of Cain is taught in the Midrash. Cain was born with only 1 twin sister while Hevel was born with 2 twin sisters. This indicated that Hevel had the potential to grow to a higher level spiritually than Cain yet he spent his time dealing with the phsyical pleasures of this world instead of doing his spiritual work. Rabbi Pinchas Epstein, Rosh Av Beis Din of the Eida Hachareidis (1970) Some say his Hilula is 17th of Tevet. Rabbi Moshe Michel of Biala (1854), born to Rabbi Eliezer Fishel of Strizhov, a mekubal. After his marriage, Rabbi Moshe Michel settled in Zamoszh, where he and his wife were supported by her father. After the passing of his father in 1812, he became a chassid of the Chozeh of Lublin, and then Rabbi Bunim of Peshischa. He eventually became Rav of Biala. Rabbi Avraham Tzvi Hirsch Kamai, the last Rav of Mir (1859-1942 Some say 1941). Born in the Lithuanian town of Shkod, his family traced its ancestry back to the brother of the Vilna Gaon, Rabbi Avraham, author of Maalos Hatorah.His father was Rabbi Eliyahu Baruch Kamai, who served as Rabbi of of the communities of Shkod, Karelitz and Czechnovtza, following which he served as Rav of Mir and as head of the town's yeshiva. His chiddushim were published in Bris Melach. Rabbi Tzvi Hirsch’s wife, who was a clever and highly-educated woman, opened a pharmacy in order to support the family. Rabbi Tzvi Hirsch assisted her from time to time when she needed help, and he would also prepare medicines for the customers according to the prescriptions that they brought. With his father’s petira, however, he replaced him as Rav and Rosh Yeshiva in Mir.